Palm-wine is a coastal West African musical style with a relaxed, acoustic sound centered on guitar and voice that gained mass popularity in the 1950s. Its easygoing tempos and mellifluous melodies link it to a variety of tropical genres from the other side of the Atlantic: Trinidadian calypso, Jamaican mento, Dominican bachata, Cuban son and the Garifuna music of Central America all sound like they could be palm-wine’s cousins. 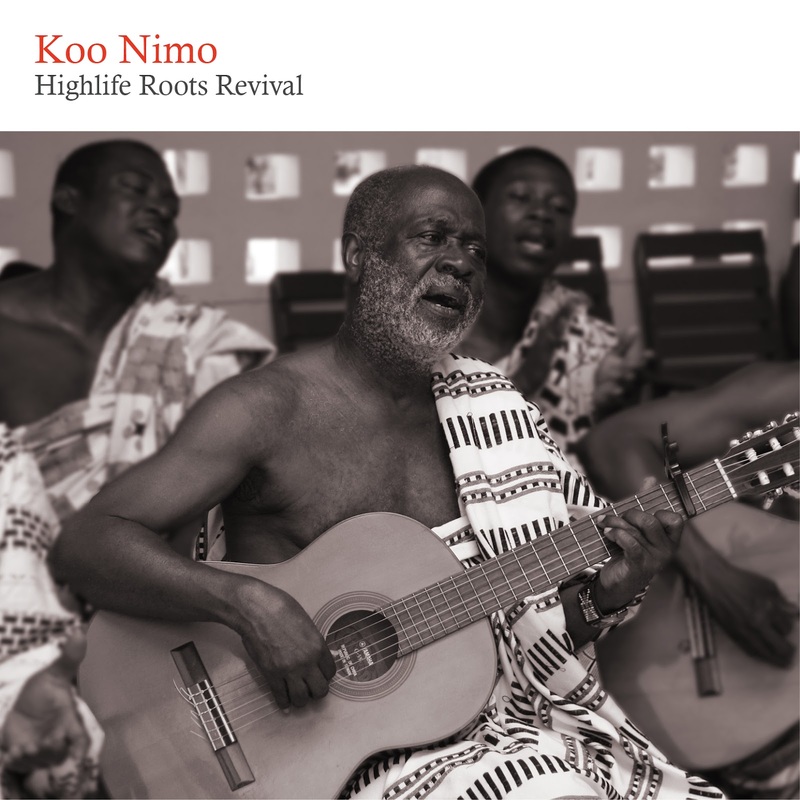 Palm-wine’s heyday ended with the development of guitar band highlife music in the 1960s – not many musicians are keeping it alive, and Ghana’s Koo Nimo (Daniel Amponsah) is at the top of that short list. Koo Nimo has toured the world since the 1970s; surprisingly, this is the first full-length recording that captures him performing with his large ensemble, Adadam Agofomma (“Going Back to the Roots”). At age 77, his voice and guitar playing remain in fine form, and his band adds color and drive on additional guitars, seperewa (the Ashanti harp-lute, similar to the kora), percussion and backing vocals. This superb recording, made in the courtyard of Koo Nimo’s home, has just the right blend of casual and precise – that’s palm-wine.